Condos 5 Minute Walk To The Beach! Potential Rental Income $900-$1,200 per month. This is an investment opportunity not to be missed! 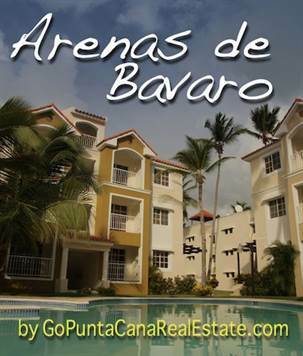 Brand new condos for sale on the best beach of Punta Cana called Bavaro Beach and are only 15 minutes from the Punta Cana Airport. They are right between two of Punta Cana's finest all-inclusive hotel resorts giving owners easy access to use their facilities for a small daily fee. There is the Carabela Hotel and Ocean Hotels. There is also a brand new high end mall 5 minutes away where Hard Rock Cafe, Tony Romas, Rolex, Monte Cristo Cafeamong others. All units are 2 bedroom and 2 bath condos and have pool views right from your very own balcony. 500 meters from the shoreline of the El Cortecito Beach – a large outdoor market where you can find everything from deep sea fishing excursion to hand made arts and crafts. There is also an outdoor seafood restaurant right on the beach that has the freshest seafood in the area. If you are looking to own a small piece of absolute Paradise, then you have come to the right place. You will never get bored in this high tourism area with so much to do and all in walking distance! Some of the very local entertainment includes Casinos, parasailing, helicopter tours, white water river rafting, sport fishing, and much more. Up to 80% Financing of APPRAISED VALUE at closing. Low Interest Rates – Up to 30 years!